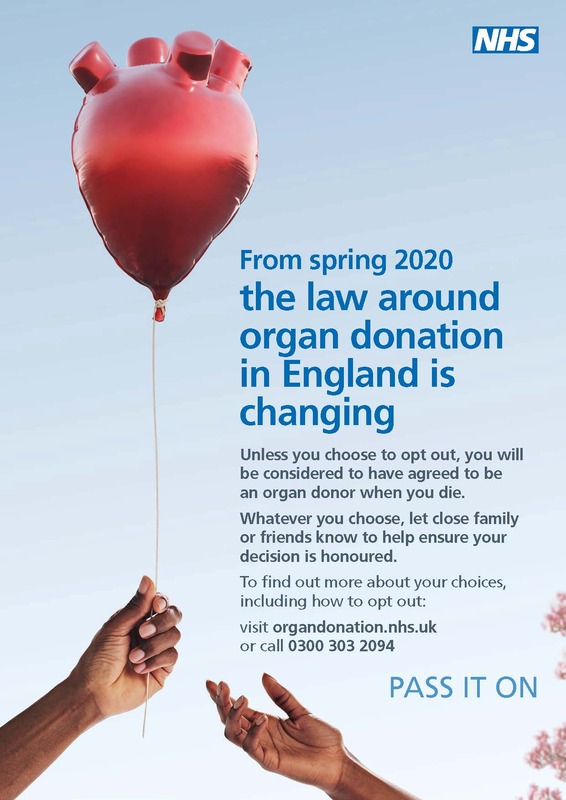 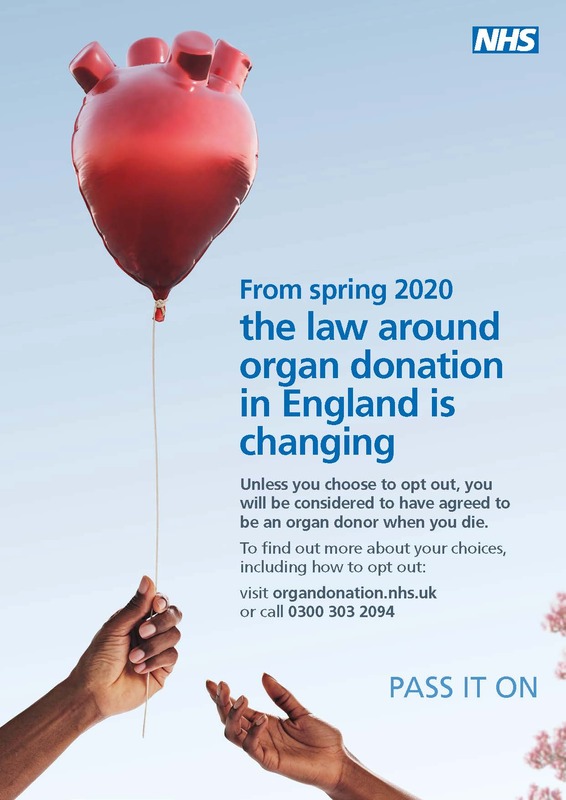 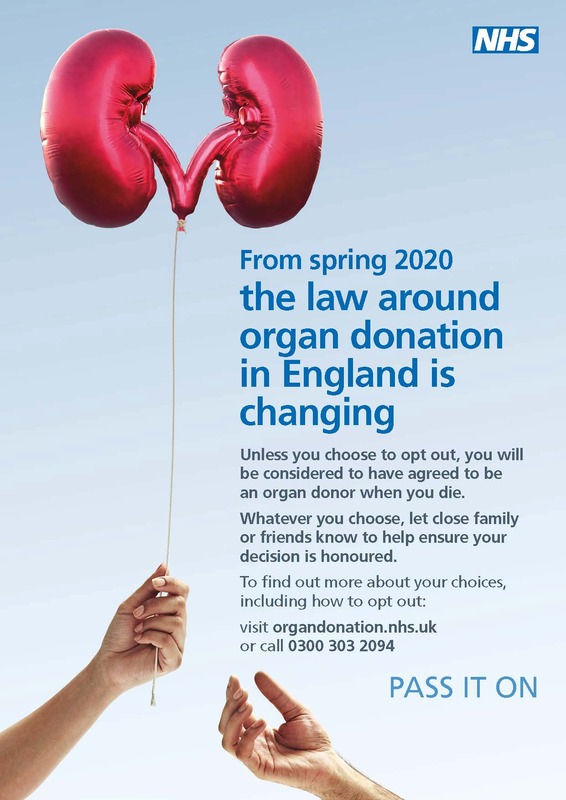 The law around organ donation is changing. Each of our posters is available in short and long versions, with the longer version offering more information around the change in the law. To help you decide which to download, consider how long people will have to read the poster you are going to share. More information about the upcoming changes to organ donation law can be found on the Organ Donation website.